The Kentucky Supreme Court is the highest court in Kentucky. The Kentucky Supreme Court has seven judges called "Justices", who are elected from the seven Judicial districts and decide cases from all across the state. The Kentucky Supreme Court is the court of last resort and the final interpreter of state law. The person elected to this job should be experienced and well qualified. Judge Wil Schroder has over 22 years of judicial experience, in a legal career that covers over 36 years. Judge Schroder, currently a Judge of the Kentucky Court of Appeals, is running for the position of Justice of the Kentucky Supreme Court. Judge Schroder is the only candidate in the race with judicial experience and the only candidate with an advanced law degree. The voting district includes Kenton, Boone, Campbell, Oldham, Shelby, Grant, Harrison, Mason, Henry, Spencer, Fleming, Pendleton, Lewis, Bath, Owen, Carroll, Trimble, Bracken, Gallatin, Nicholas, and Robertson Counties. 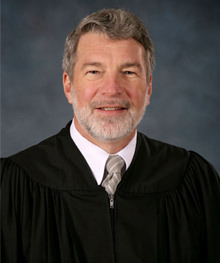 To read about Judge Schroder's judicial experience, Click on "Judicial Experience".